Well, it’s finally that time. The annual Academy Awards. The best of the best come out to show off their talent, designer clothes, jewellery and beautiful nearly perfect bodies on the red carpet for the world to see and of course criticize (Joan, you listening? LOL). The 83rd Annual Academy Awards is on tonight on ABC at 8pm (EST) giving the world a look at the creme de la creme in the world of movies and trust me, there were some great movies, roles, music and screenplays that were well worth watching this year. I hope you all got to watch the films being nominated tonight. I have to be honest, I liked all of them. The Best Picture category includes Black Swan, True Grit, Inception, The Fighter, The Kids Are All Right, The King’s Speech, 127 Hours, The Social Network, Toy Story 3, True Grit and Winter’s Bone. A film critic for a leading entertainment magazine asked me the other day which picture I thought would win. That is a great question which I have been asked over and over again in the last few weeks. The same goes for Best Actor. But to be honest, I think all the performances and movies were excellent. Seriously. I think everyone that is nominated tonight has done an outstanding job in their role. 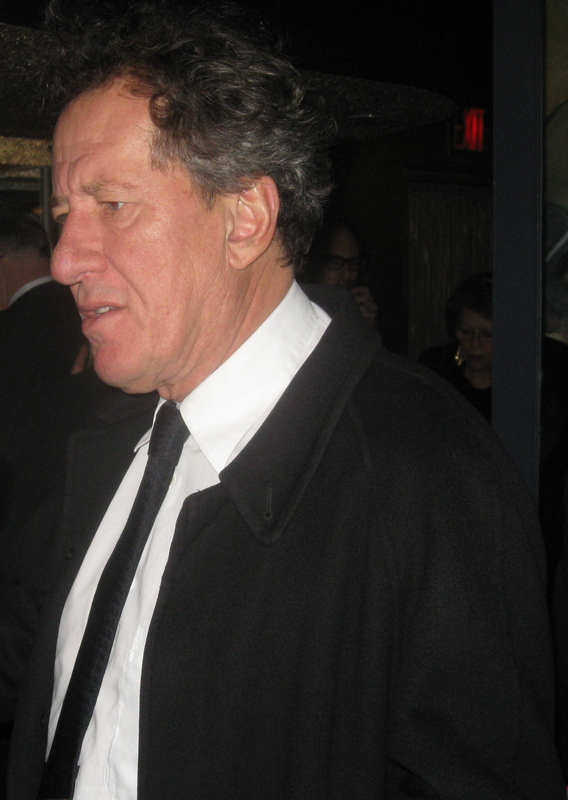 Geoffrey Rush’s acting in “The King’s Speech” simply rocked! The actor is just gifted. Plain and simple. When I met the actor, I saw a humble person who just loved doing what he does best. Rush is one of the finest actors we have today. He continues to shine in films or on stage with his God-given talents and is very gracious to the press. Regarding the actresses, I will say that Natalie Portman’s performance in “Black Swan” is really incredible.The girl can act! I met Portman over the year on the red carpet and at other events and she is much, much prettier in real life. Nicole Kidman gave a strong and powerful performance in “Rabbit Hole“. It’s a great film .My long time favorite Annette Bening got nominated for her role in “The Kids Are All Right“. Another powerful film. I will say that one of my favorite actors nominated this year (again folks!) 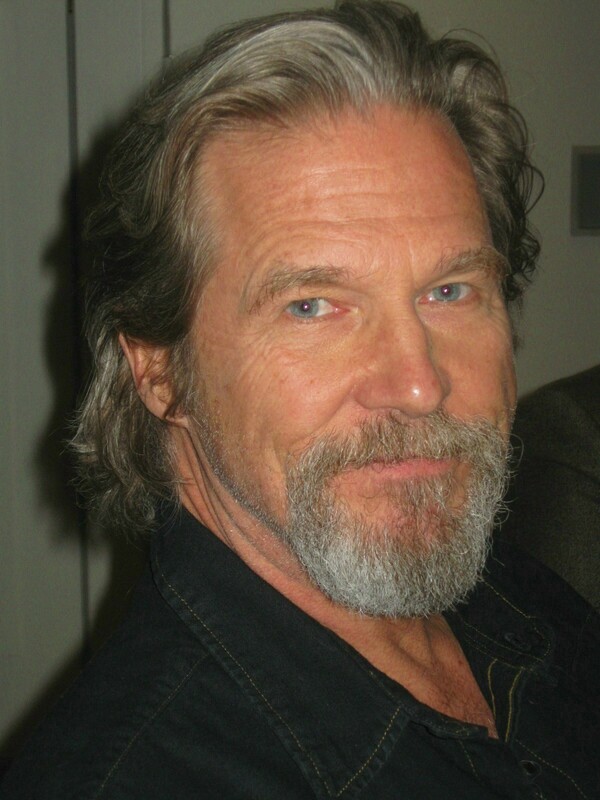 is the multi-talented and super nice actor Jeff Bridges. No matter how busy his guy is, he always makes time to talk to the press and he does so with such grace and charm. Bridges is nominated this year for his role in “True Grit”. He did an excellent job. Bridges’s ability as an actor gets even more refined as he gets older. He’s also proven a very important point in Hollywood- that despite being a youth-oriented-buffed body industry, the actor has shown that TALENT is the real key to success with his films, nominations and Oscar wins. I am also happy for actor James Franco whose film “127 Hours” was among the favorite of many critics this year (even the tough ones!) and the first time nominee is pretty excited and surprised at the win he told me earlier during the year. But should he be? After all, the film director by the brilliant Danny Boyle ( Hello Slumdog Millionaire!!) who usually attaches his names and talent to a script that he knows will bring out the best in whoever he choses to be in his films. “127 Hours” did very well at the box office and besides Franco being nominated for an Oscar For Best Actor in a Leading Role, the film has also grabbed a nomination for Best Picture. Not bad at all for a newcomer!!! Am I surprised at any of the nominations? Not really . I think everyone who got nominated this year really proved to be outstanding in their given role and based on what I have seen, they truly deserve the nomination for all their hard work, dedication, sacrifices and determination. My reporter friends are in LA tonight gearing up to report from the red carpet and I am heading to some Oscar parties tonight in NYC to get New Yorkers reaction to who wins and loses. So make sure you watch the Oscars and let’s compare notes after the wins! For more info on the 83rd Academy Awards, go to www.oscar.com for a complete wrap up of all the nominees and tidbits about the most “famous golden statue” there is! !